Israel has passed a new law banning the use of underweight models in advertising. Israel has passed a law banning the use of underweight models in advertising. The legislation, known as the "Photoshop Law," also requires that agencies tell their audience if they've digitally altered pictures to make models look thinner. "This is such a happy day for me, and it should be for everyone in the modeling business," said Israeli modeling agency owner Adi Barkan, who has been working in fashion for more than 30 years. He said he lobbied Knesset members for years to get a law like this passed. "All over the world, 20 years ago, we saw girls who were skinny, but today we see girls who are too, too skinny," he said. "They are dying. The business only wants the skinny girls. So the girls, they stop eating. It's terrible. We must be more responsible and say to them that it doesn't have to be that way." The new law prohibits the use of models with a body mass index of 18.5 or less, a designation based on internationally accepted measures. The figure matches parameters set by the U.S. Department of Health. The law has no criminal consequences, said Liad Gil-Har, a Knesset spokesman. It could be enforced only through civil litigation. He offered an example by saying that the law would make it possible for parents of a 15-year-old girl suffering from anorexia to sue the makers of an advertisement if they believed their daughter was being influenced by an ad featuring an underweight model. The law doesn't set a money amount that can be gained in court from such a suit, Gil-Har said. Lawmakers realize that it may be a long and difficult process to prove in court that a company violated the new law, but they feel that simply having the law in place will accomplish what they want: deterring advertising companies from continuing to influence Israelis with images of unhealthy-looking models as the gold standard of beauty, he said. Gil-Har said lawmakers have spent years deciding what action to take to curb an alarming number of Israelis suffering from eating disorders. The Knesset's Research and Information Center told lawmakers that there are about 1,500 children, including teens, diagnosed with eating disorders in Israel annually. 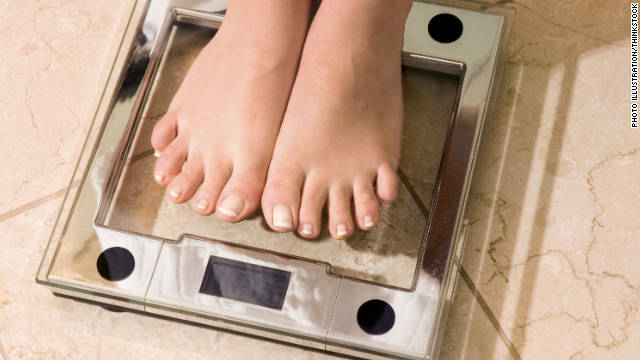 Knesset members relied on data presented to them that linked eating disorders to exposure to media images that glorify thinness. "We think this will be enough, that no advertising company will want to violate this law," Gil-Har said. "They just won't want to take that risk." Some modeling agencies in Israel aren't happy. "The indexes on which the law is based are arbitrary and are not appropriate for every model. I know many models who are totally healthy girls who might be disqualified because of the law," said Eli Edri of the Roberto Models Agency in Tel Aviv, according to Haaretz. He told the newspaper that some models are naturally thin and unable to gain weight and that the new law would unfairly prevent them from getting booked for jobs. Plus-size American supermodel Emme told CNN that she thinks the law will spur other countries to institute similar measures against showing underweight models. "I think this is fantastic because so many young women and men are suffering to look a way that is unrealistic and unhealthy," she said. The United Kingdom, she said, has aggressively pursued advertising agencies that alter images to an extent that grossly misrepresents the photo's subject. Advertisements for Lancome featuring Julia Roberts were banned in Britain because they were overly airbrushed. The reason why women are so skinny, shapeless, and unattractive these days is because the Modeling Industry is controlled by gay men who aren't attracted to the true curvy bodies of a natural woman. They prefer the tall, lanky, man looking models who look like they have been in a casket for over 100 years. If the Industry was controlled by straight men instead of gay men, we wouldn't have this issue today. HOORAAAY, you hit the nail right on the head. Unfortunately, too many women are so out of tune with reality, that they prefer to torture themselves by bending over backwards to please a coven of cliquish, limp-wristed, attention-hungry androphiles with sewing machines, cameras and breast envy. They would enjoy themselves more, look better and be healthier if the just asked their favorite MEN how they looked best. Actually it is controlled by women...who I guess could be mistaken for gay men. If you look at the recent study by FIT (NY) you will see that it is much more influenced by women in the fashion journals and many more women designers. so, in light of that, I would say your post is what they call "Wrong". LOL, I dont know about the gay part but your post is funny. Thanks for highlighting the scourge of the West. Anorexia and Bulimia are just the tip of the iceberg. Because of fashion advertising – millions of girls (as young as 8!) have developed poor self image of themselves – particularly as appearance is given higher priority over personality, kindness and self-respect. My first daughter – who's inherited my husbands skinny genes – imagines herself fat (she's not!) and is obsessed about weight. The second took years to accept her natural full figure and the third – we'll see. I don't allow fashion magazines or channels in the house and have to constantly remind them how beautiful they are – just the way they are. Just what I was thinking 3rdEye, why are we letting gay males tell women and the world what's attractive? Replace the industry heads with say....straight black men, and see how drastically the shape of the "female ideal" changes! What's next, banning fat models who pose a health risk? Or maybe banning ugly girl who give Israel the wrong image. No, just the anorexic wraiths within an inch of their lives who look like death camp prisoners in their birthday suits. i appreciate that Isreali law, thank God 4 them. Israel has and is constantly updating laws regarding the poor and homeless, single mothers, war and terror orphans and handicapped. This law is completely ridiculous. It's like banning sportsmen from advertisements because they might die during training or they can be seriously injured. Think seriously, should Superbowl be banned, because young boys can harm themselves trying to play football? There's a demand for skinny models, and noone forces them to use cocaine or starve themselves. These women are looking skinny because they're willing to be popular, beautiful as well as rich, and they can live without eating junk food, sweets and other fat food, just to keep their weight. I seriously hope that similar law will never pass, neither in the US nor in Europe. Absolutely pointless. I believe that Israeli government should rather ban advertisements with obese people, than commercials with world class models. Just take a look at statistics, obesity is much bigger problem than anorexia is. Have you ever seen an ad with obese people? Except to ridicule them? This is just another form of brainwashing people to think that only thin is beautiful. This is no different than banning advertisements for cigarettes. The so-called right to make money in a free market ends when that those actions hurt a real person (sorry, corporations are not people). Now I am waiting for a law banning the use of overly muscular models in advertising. After all, it causes some men to damage their health through the use of anabolic steroids. Thank you-Israel-common sense legislation to control people who are mandating women hate what they look like and should starve themselves into sickness to compete with a starving woman for appeal. more government controls. now they demand owning your body. leave isreal go elsewhere to model. To hell with the BMI index, take it and shove it. This is a step in the right direction. Arguments like "This body type is best to show off the garment." or "Now there are models that can't be booked that are naturally that thin." etc. don't take into consideration what the garment might look like on most of the people who will wear it when the alternative version hits the market, or the fact that there are much less negative trends in the modeling industry featuring models that are not so threatening to the consumer base, or their daughters who might pursue unnatural, and therefor unhealthy individual body standards for themselves base on the models wearing the garments in question. This does not go without saying that so many men and women that are not impacted by an airbrushed, and unnaturally skinny model...are tired of hearing about people suffering because of some of these well, lies, that are called "beauty standards" by far too many industries. I wonder if something like this could pass in the US? Would it run into trouble under freedom of speech? I don't think advertising can really be considered protected speech, but I'm not an expert, and the present SC is pretty far right, they might just toss anything close. A BMI of below 18.5 can be perfectly healthy and healthy looking on many people with small frames while being unhealthy for someone with a large frame. And body frame has nothing to do with height or weight. It's not even scientific to just consider the BMI but not consider the individual's frame size. I'd expect a more intelligent law from the Israelis. The law doesn't prosecute advertisers or agencies for using too-thin models – but it does expose them to civil suits for damages if their media influences young adults to hurt themselves. So a less than 18.5 BMI – if the girl looks healthy – would not be a cause in itself for prosecution.